The Northern Region stretches from the inner city suburbs of Brunswick, Northcote, Alphington and Ivanhoe, to the outer areas of Craigieburn and Sunbury, and to the Kinglake National Park and rural and interface communities of Whittlesea and St Andrews. It is a diverse and vibrant region, featuring Melbourne’s major airport, arts and cultural precincts the National Employment and Innovation Cluster in LaTrobe and new growth area communities on the northern fringe of the city. 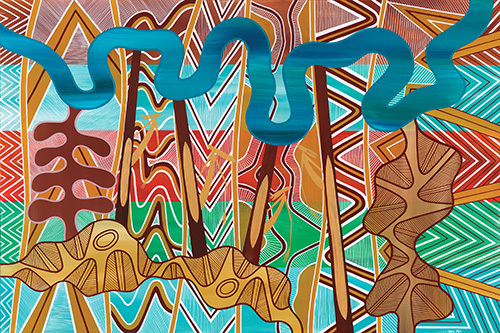 Melbourne’s Northern Metro Region is the traditional home of the Wurundjeri people of the Kulin Nation. As with much of Melbourne’s other regions, the early colonial history of the Northern Region was one of agricultural expansion, the acquisition of grazing land and runs, and relatively limited industrial development. In the 20th century however, the history of the North became tightly linked with the need to meet Melbourne’s industrial needs. By 1930 Brunswick was already a textile hub with over 300 factories and, along with Coburg, would grow to dominate the Australian hosiery industry. Combined with a transformative influx of migrants from the 1946 onward, the region was well-equipped for a post-war expansion which included the establishment of Ford’s Broadmeadows car assembly plant in 1959. Today, the Northern Region includes six Local Government Areas (LGAs) including the inner LGAs of Moreland, Darebin and Banyule, and the outer growth and interface LGAs of Hume, Nillumbik and Whittlesea. In addition, the portion of Mitchell Shire within Melbourne’s Urban Growth Boundary, which contains the towns of Wallan and Beveridge, is included in the Northern Metro Region for the purposes of this Regional Background Paper. The region’s important natural assets include the Yarra River, which defines the south-eastern border of the region. The Yarra River catchment contains significant parkland with community and environmental benefits, is home to more than two million people, and provides 70 per cent of Melbourne’s drinking water. The Merri Creek is also a notable natural asset of the region, serving as both a major north-south biodiversity corridor as well as a centre for local community and leisure activities for the region’s outer growth corridor and into the inner suburbs of Northcote and Brunswick. The region’s growth corridors also include environmentally significant flora and fauna, with implications for the shape of the region’s urban development. For example, Sunbury’s surrounds support areas of Grassy Eucalypt Woodland and habitat of the Golden Sun Moth, and Wollert surrounds include the habitat of the Striped Legless Lizard and the Growling Grass Frog.